Review of Sweeney Todd at Ludus Performing Arts. 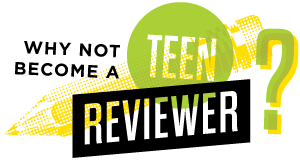 Written by TeenTix Press Corps Writer Annika Prom, and edited by Teen Editorial Staff Member Huma Ali! The night of October 19, it was especially dark with a touch of rain, and my plus-one invite canceled on me an hour before the performance. I felt cold, glum and ever-so-slightly heartbroken—it wasn’t hard to relate to Sweeney Todd and become emotionally invested in the show. The musical opened with discordant, thundering organ music, which ended with an abrupt high-pitched screech. The stage lights turned red, and smoke emerged from backstage, along with Sweeney Todd (Erik Ortiz). Sweeney Todd tells the tale of a barber, formerly known as Benjamin Barker, who returns to London to enact revenge on a judge for sending him away and stealing his wife. But Sweeney misses his chance to slit his victim’s throat during a haircut, so he vows to murder his other clients during their barber visits until he can achieve his revenge on the judge. Sweeney Todd by Ludus Performing Arts. Photo courtesy of Ludus Performing Arts. Throughout the performance, it became more apparent that the “demon” was in the details. The subtle changes in lighting set different atmospheres in the theater. When Sweeney’s friend Anthony was onstage in personal moments, such as when he expressed his desire to be with his love, Johanna, the stage lights turned blue and isolated him. This lighting communicated a sense of poignancy and allowed us to bond with Anthony in times of vulnerability. As well, the actors showed a fluid versatility. They transitioned seamlessly between their roles, from being simple passersby in the background to acting as complementary props for the musical pieces. The overlap in actor and dancer manifested in the emotions embodied by the performers, as they narrated the story through the songs. They danced as couples to the tune of the music, crowded around the primary characters in moments of confusion, and portrayed flashbacks that were the turning point of Sweeney’s life, ultimately convincing the audience to buy into the emotional pain that drove his lust for revenge. When Sweeney revisited Mrs. Lovett (Emma Hanson), the female lead and his landlord, she sung about the fate of Benjamin’s wife, Lucy, and his daughter, Johanna. Meanwhile, the other actors recreated her story, that of Judge Turpin taking Lucy for himself and adopting Johanna into his care. The dancers emphasized Lucy and Johanna’s frenzy as the characters fell into the manipulation of Judge Turpin. And the audience watched these events unfold, allowing them to understand Sweeney’s emotions when he reached his breaking point. The presence of the other actors helped narrate and validate Sweeney’s anger and justified his motive to kill, because they skillfully juxtaposed the backstory and Sweeney’s developing rage. Sweeney and Mrs. Lovett had selfish, malicious agendas, with the pair working to murder customers and then bake them into pies. However, the hints of emotion in their every action and the methods used to highlight the characters led to the audience wanting the two to triumph in the end. Viewers experienced Sweeney reaching a point of desperation as he came close to, but failed to, enact his revenge on Judge Turpin. Seeing his genuine agony over Lucy and Johanna created a sense of support within the audience. We wanted Sweeney to see justice in regards to his family. 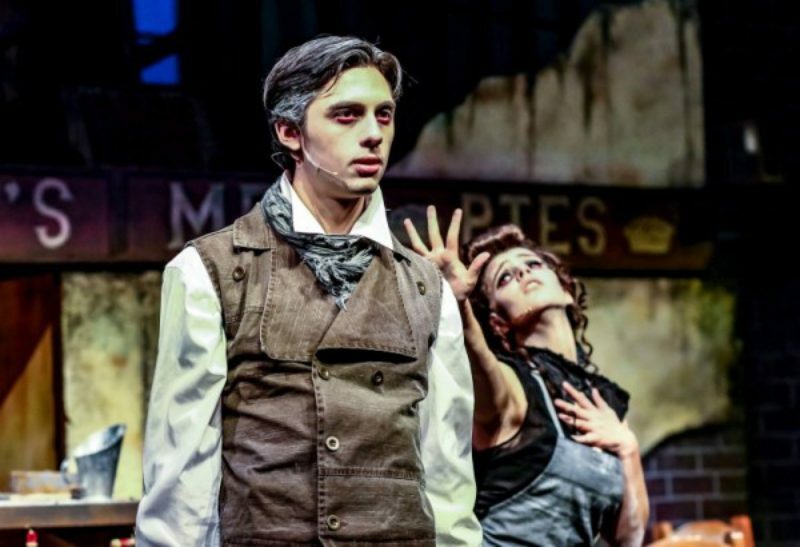 Whether onstage or backstage, the different departments of the Ludus Productions team helped deliver an intricate performance of Sweeney Todd that made me feel captivated by each lead character. The attention to detail given in this play left a lasting impression of each scene that allowed me to revisit the vivid images the acting crew had created, leaving the story of Sweeney Todd deep-rooted within me.